​Juventus forward Gonzalo Higuain is expected to fly to London on Friday to undergo a medical with Chelsea, who want to complete the signing in time to register him in their squad to face Arsenal on Saturday. 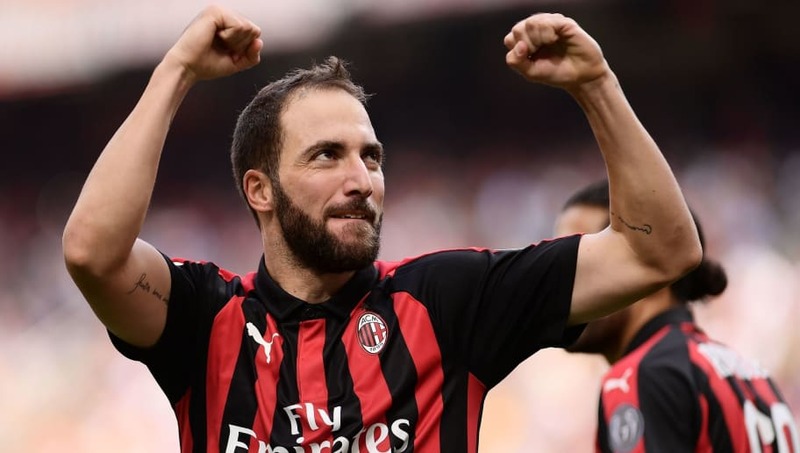 Higuain, who is currently on loan with AC Milan, is expected to join the Blues on an initial six-month loan deal after Milan agreed to cut short his stay at the club. The deal can be extended for another 12 months, depending on both Higuain and Chelsea's success over the next six months. News of ​Higuain's imminent medical comes from the ​Mirror, who state that, whilst ​Chelsea are expecting to give the Argentine his debut in the Carabao Cup against ​Tottenham Hotspur on Tuesday, they would prefer to accelerate the deal and register Higuain by 12:00pm on Friday, meaning he would be eligible to face ​Arsenal on Saturday. However, other reports including from Italian journalist Fabrizio Romano have played down that possibility. The deal is reportedly being held up by ​Milan, who are yet to sign a replacement for Higuain. Genoa's prolific forward Krzysztof Piatek is thought to be top of Milan's wish list, and they are also considering a move for Chelsea's ​Michy Batshuayi. Should Higuain finalise his move to Chelsea, it will likely spell the end for ​Alvaro Morata's time at Stamford Bridge. The Spaniard has struggled to impress in his 18 months at the club, and is ​set to secure a £28m move back to ​La Liga with ​Atletico Madrid. Manager Maurizio Sarri is thought to have been desperate for Chelsea to sign Higuain since he arrived at the club last summer, with the two having enjoyed a prolific spell together at ​Napoli. Under Sarri, Higuain netted a stunning 36 goals across the 2015/16 ​Serie A season, setting a record for the most goals scored by a single player in one campaign. Chelsea will be desperate for Higuain to rediscover a similar vein of form in the ​Premier League, having struggled in front of goal with Morata and ​Olivier Giroud leading the line at Stamford Bridge. The 31-year-old has racked up eight goals and three assists for Milan in all competitions this season, including the winning goal in his last Serie A match against SPAL in late December.